A Whole New World! Seeing a rabbit run across a meadow is not so surprising. But when that rabbit is wearing clothes and talking out loud, Alice has to follow him and find out where he's from. 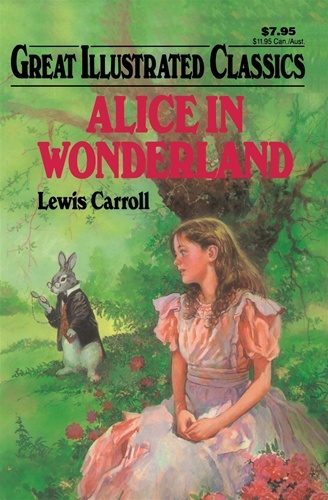 Down the rabbit hole she goes and on to the oddest adventures a little girl has ever had. Come along with Alice and meet some of the most unusual, whimsical, and delightful characters you will ever find in the pages of a book!